Dr. Karo Ter-Nersesyan, also known as the "Karopractor", is committed to more than just relieving patients' pain, but also educating patients on natural wellness solutions for a lifetime of optimal health. Dr. Karo's passion for chiropractic and sincere concern for others motivates him to excel in his work with patients as well as in the community. He completed his undergraduate studies from Cleveland Chiropractic College and his Doctorate of Chiropractic at Southern California University of Health Sciences in Whittier. While working towards his Doctorate of Chiropractic degree, he participated in several seminars, workshops and conferences and volunteered his time nationwide to further his understanding of healing the human body. 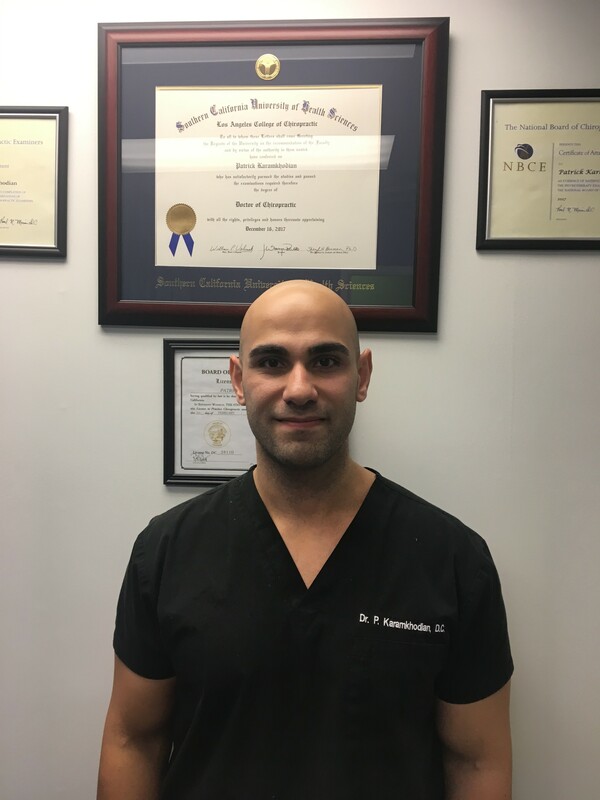 Dr. Patrick Karamkhodian, DC, is a board-certified Doctor of Chiropractic in the state of California. 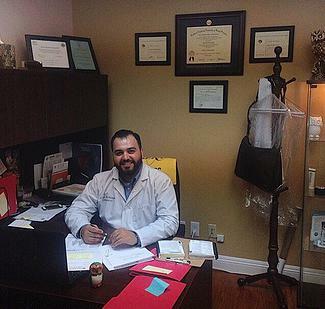 Dr. Karamkhodian earned his bachelor’s degree in biology from University of California, Riverside and went on to earn his Doctor of Chiropractic degree from Southern California University of Health Sciences in Whittier. Dr. Karamkhodian uses a multifaceted approach to treat patients. In addition to being well versed in various chiropractic manipulation techniques, he has studied sports rehabilitation, myofascial release techniques (MRT), instrument assisted soft tissue mobilization, activator technique and kinesiotaping. His focus is to educate patients on the healing power of the human body and to promote the benefits of a healthy lifestyle and preventative care. On his free time, Dr. Karamkhodian likes to keep himself active whether it’s lifting weights, hiking or playing a sport. He has been involved in numerous sports since childhood and continues to stay active and live an active lifestyle.